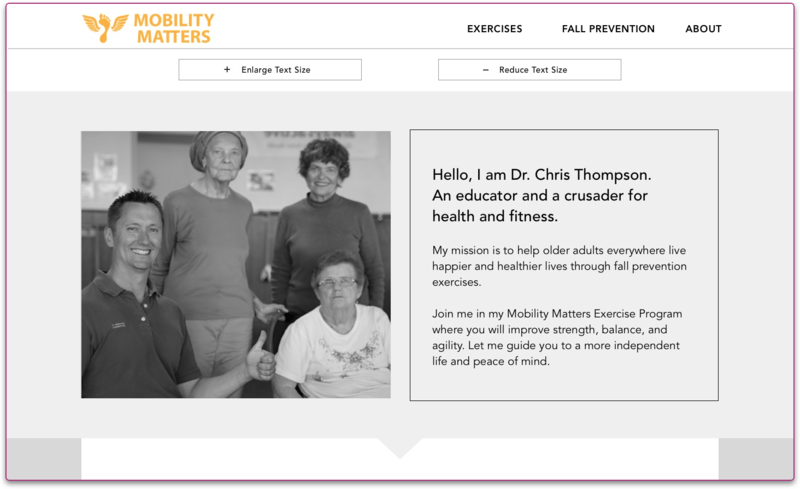 Mobility Matters is a website platform that focuses on fall prevention exercises for older adults. Their exercise philosophy is based on continually doing four focus areas of exercises that has daily application and promotes independent living. 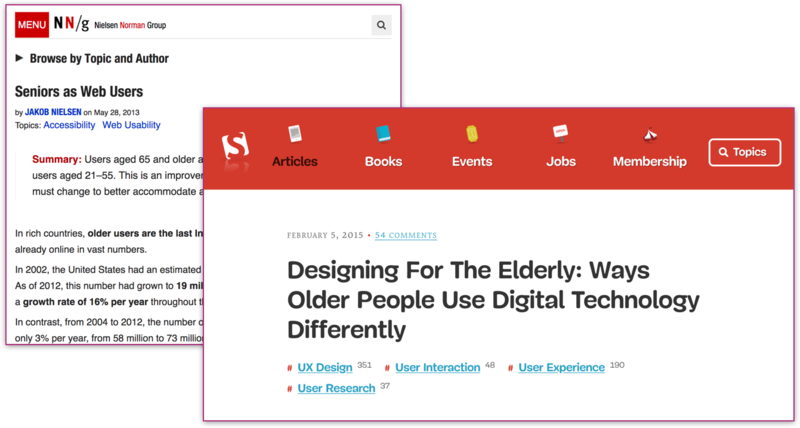 More older adults are using the internet to accomplish daily tasks and goals. 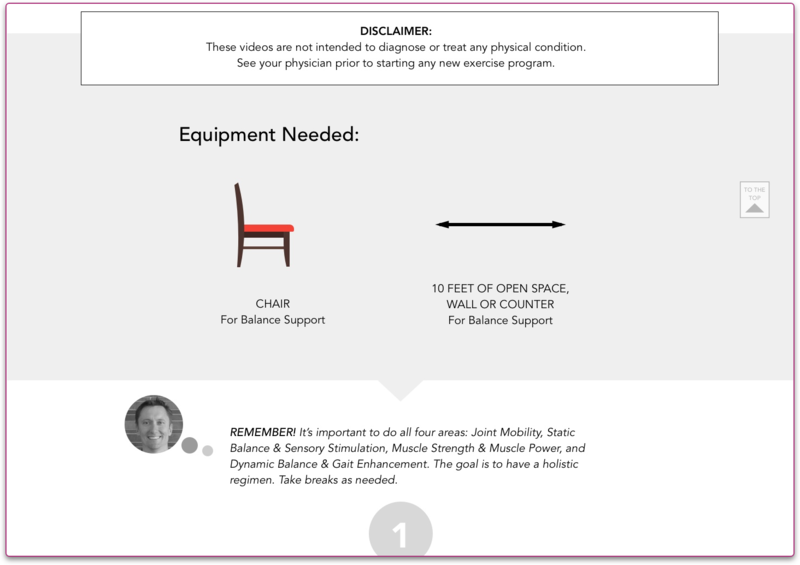 There needed to be a platform where older adults can trust and feel empowered to prevent themselves from falling. 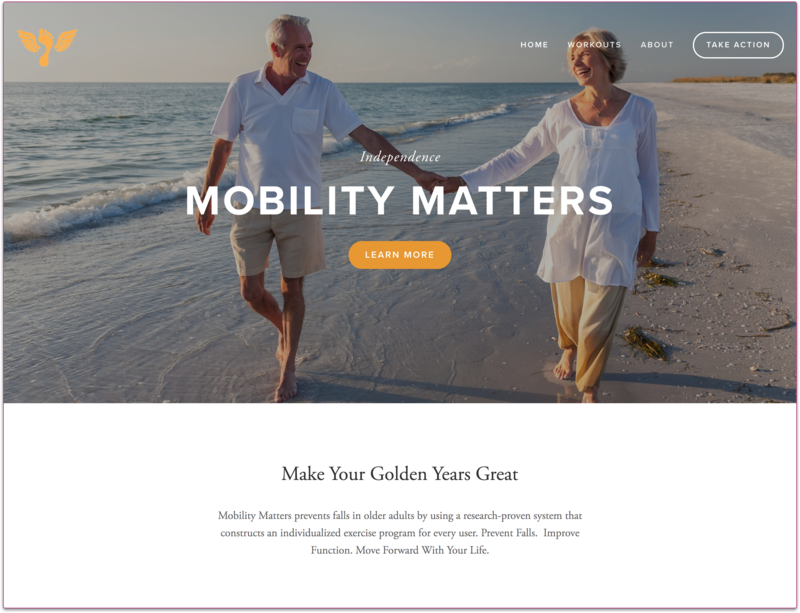 We designed a website interface that serves as a self-guided fall prevention exercise program for older adults. What's Out There for the Elderly Now? 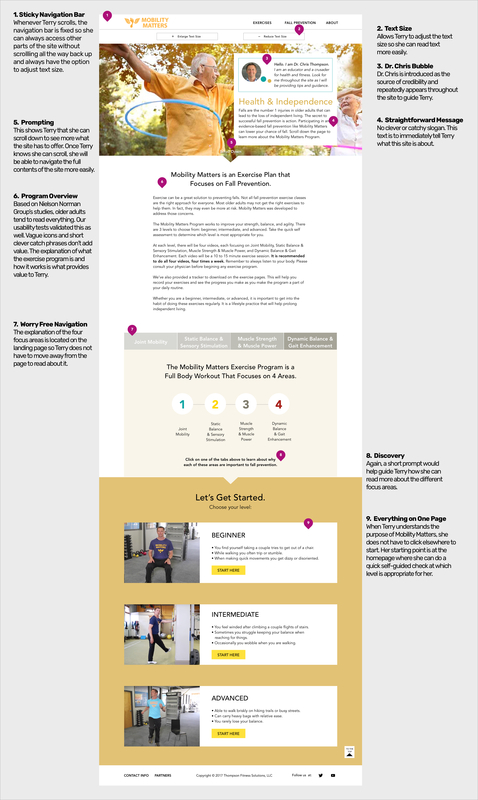 Although many sites offer exercises and a plethora of information, none of them offer a structured program. Two conflicting call to action buttons, users wouldn't know where to begin. Currently there are 4 videos each covering a focus area. In addition there are three different levels. 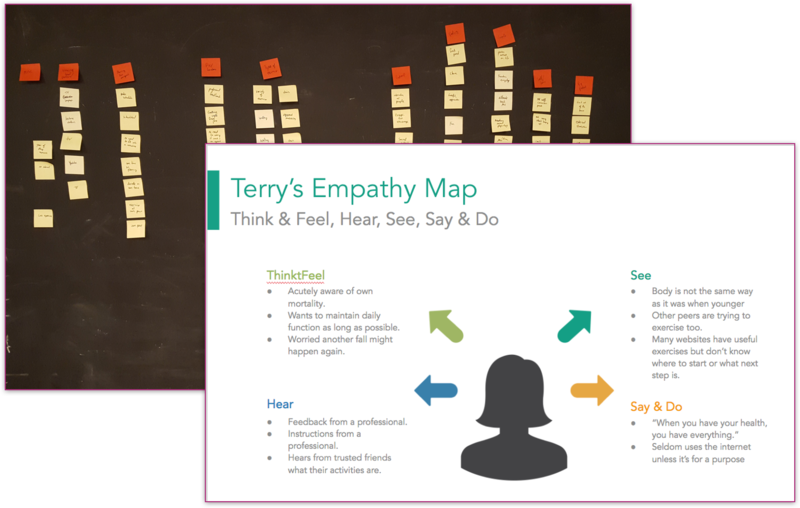 Which way should the videos be organized to best create a guided program experience? 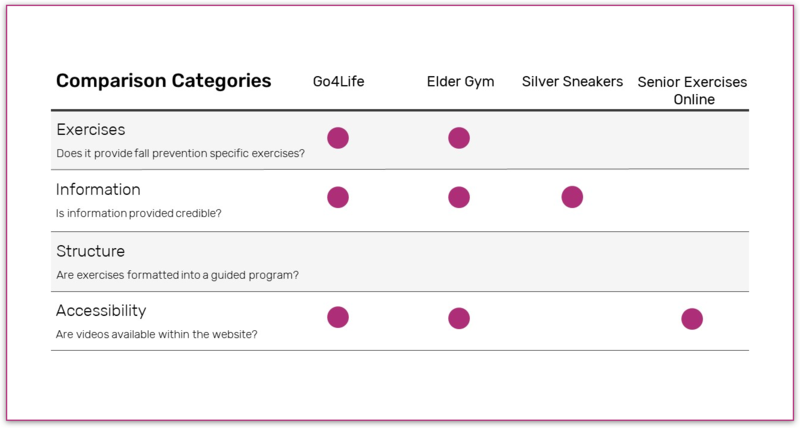 Our client wanted to make sure older adults were doing exercises from all four focus areas but stick consistently to their appropriate level. 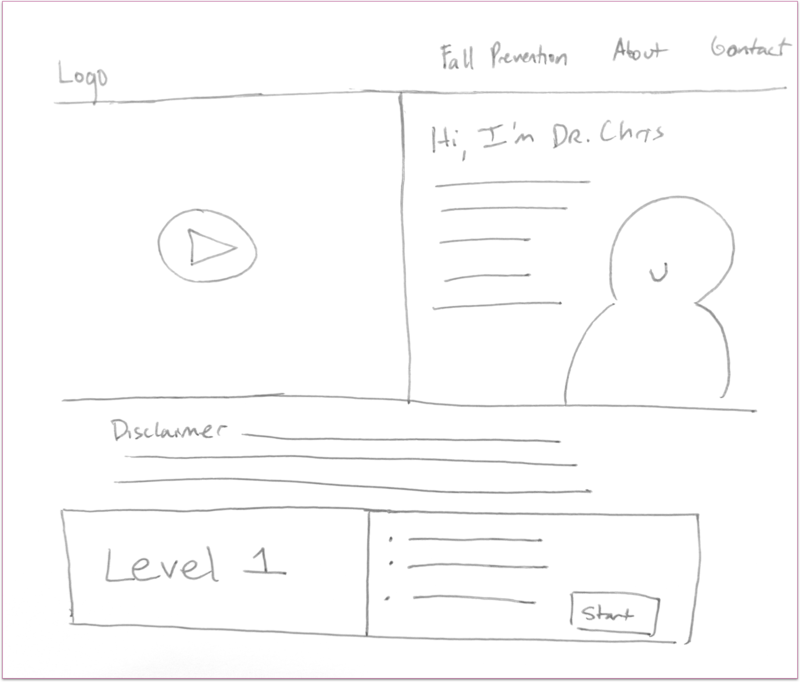 Key Takeaway - Organize videos by level to ensure users do all four focus areas and create a more guided experience. Per Nielson Norman Group, as of 2012, 19 million American seniors use the internet with a 16% growth rate each year. Talking to many senior citizens shed light to how challenging it can be finding help. Resources in print are scarce and not as updated. The internet is overwhelming and even unforgiving at times. 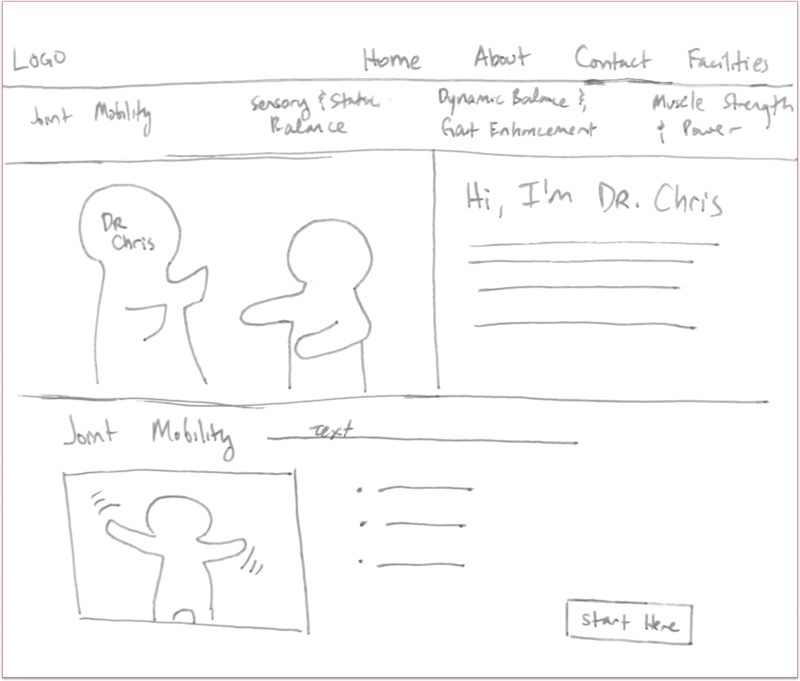 I learned that part of making better design is to be inclusive. Older adults have needs too. 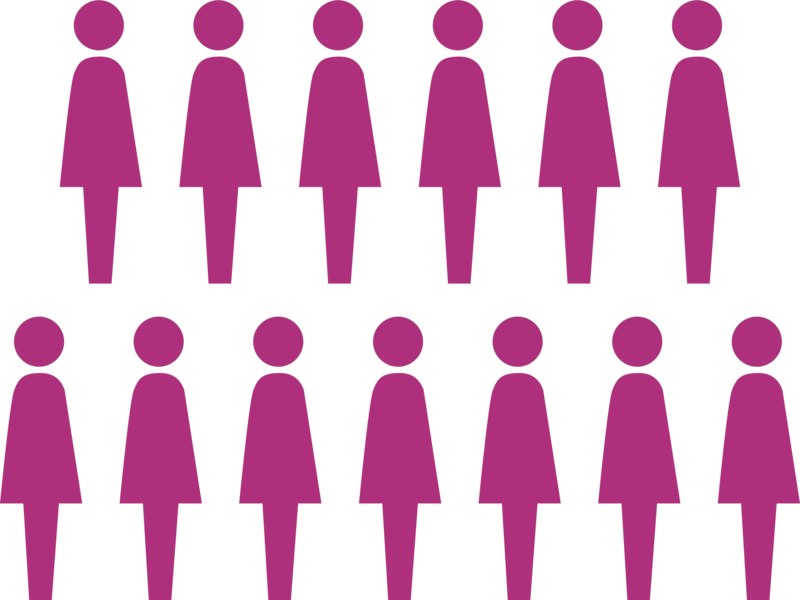 Daily tasks such as driving or grocery shopping become increasingly difficult. 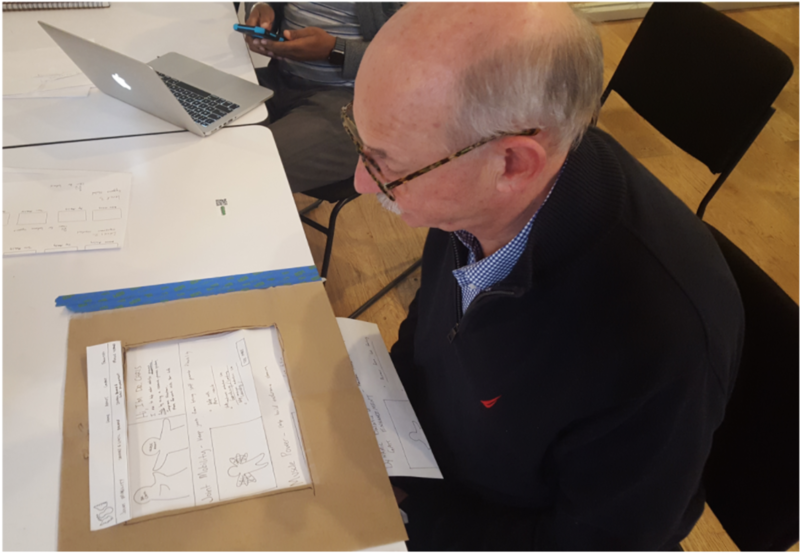 Design that is more cognizant of senior citizens' needs can help better connect businesses and services to them. That's what it means to "change the world" and "make people's lives better".